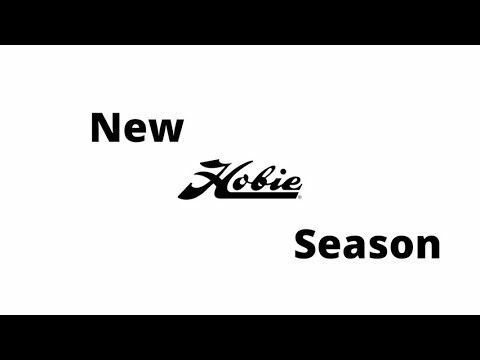 The lightweight more compact, Hobie Mirage Pro Angler 12 Camo Package Kayak is the most versatile fishing boat ever designed by Hobie. 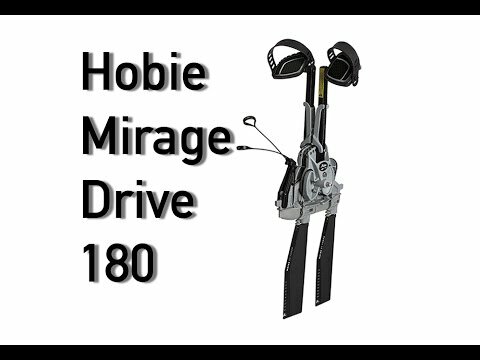 It features the Mirage Drive 180 Turbo so now you can get to your fishing spot quickly, and with the reverse ability, you can stay on your spot no matter which way the wind or current is moving. The Camo Package has custom hull graphics, custom pedal pads, and customer floor mats that are only available on camo models. 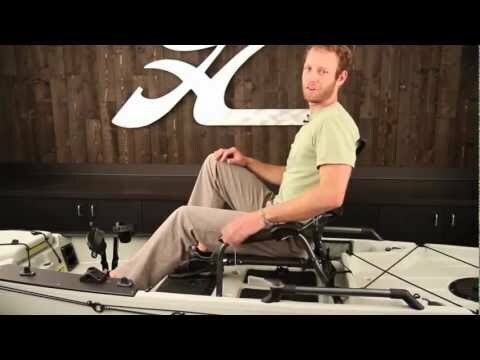 The 12 foot hull sports a 500 pound weight capacity and is packed full of must-have features that kayak anglers demand. From lakes to rivers to open ocean, this boat has no boundaries - stand and fish with incredible stability, securely store four rods horizontally, two vertically and access your tackle with ease. Integrated dual-steering controls for left or right handed accessibility while under way. The Lowrance-ready transducer mount and new Guardian Transducer Shield gives you multi-dimensional vision below. Vantage Seating provides ultimate comfort and adjustability in a lightweight, easily removable form, along with Boa system lumbar support technology. 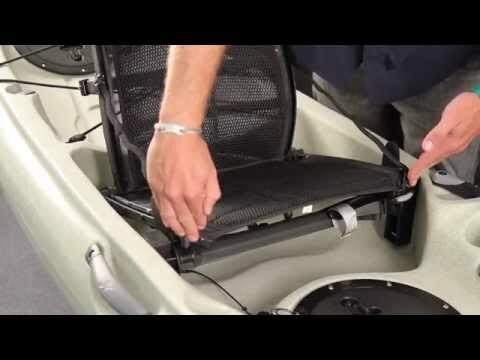 Lowrance Ready installation system makes adding a fishfinder a breeze. The H-Rail mounting system offers nearly unlimited customizing opportunities. The 12-sided rail offers quick and easy attachment for a variety of accessories. Each Pro Angler includes the H-Rail Horizontal Rod Rack and the H-Rail Cup Holder. Other features includes the Tracing Keel, a retractable skeg for improved tracking over long distances, XL Padeyes, and Lowrance Ready transducer mount. Looking for an affordable, durable, lightweight, ultra-stable, built-for-anglers personal watercraft? 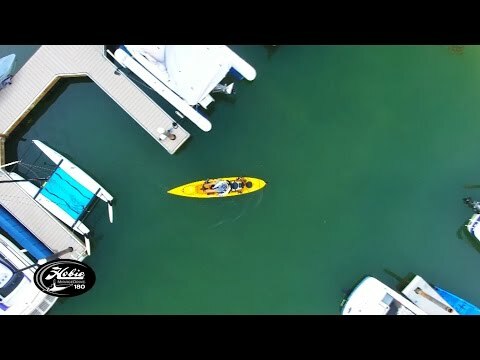 The Hobie Pro Angler 12 - Enjoy the ride!